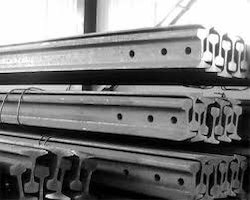 Offering you a complete choice of products which include vignole rail, standard light rail, heavy rail, steel rail, jis e 1103 and 1101 standard steel rail and bs11:1985 standard steel rail. With the inclusion of contemporary machines and advanced tools in all our processes, we are able to export, trade, import and supply a distinguished assortment of Vignole Rail. Our vendor’s skilled professionals manufacture these products using well-tested raw material and sophisticated technology. In addition to this, our offered range is rigorously tested by quality controllers against diverse parameters in order to deliver a defect-free range at clients end. Moreover, the offered range is extensively appreciated by our clients for featuring variegated attributes like optimum quality and durability. 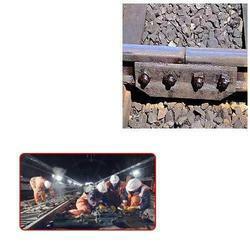 We are offering wide range of Rail Fish Plate for Railway Industry. 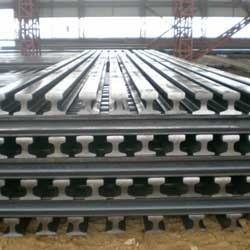 These are used to join two rails together of same or different section. These fish plates products are available in various shapes and sizes and can be customized as per the clients specific requirements. 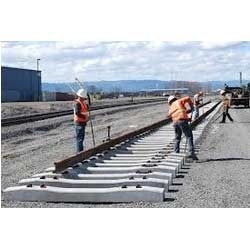 Outfitted with a modern infrastructure, we are the most prominent exporter, importer, trader and supplier of a wide array of Standard Heavy Rail. These products are manufactured using optimum quality raw material and advanced technology. In tune with different requirements of our copious clients, we customize the entire range in various sizes and shapes. Our offered range has gained exceptional value amongst our clients for its defined features. 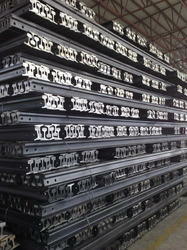 By keeping track with the market development, we are offering optimum quality JIS Standard Heavy Rail. Our offered range is widely appreciated by our prestigious clients for their precise design and durability. The offered range can also be availed in various sizes, designs and other related specifications. Our provided products are manufactured by a team of vendor’s adept professionals utilizing quality approved raw material and advanced technology. 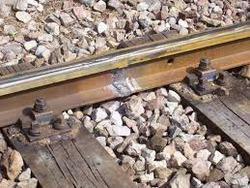 Since our inception, we are instrumental in offering premium quality Vignole Rail. 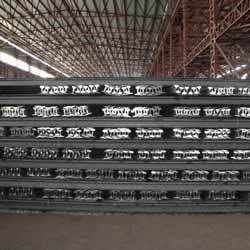 Besides being manufactured from high-grade raw material and latest technology, the offered range is inspected properly by vendor’s expert professionals. Owing to features like durability and sturdiness, the offered range is exceptionally valued by our precious clients. The offered range is available with us in various sizes and shapes at affordable price. 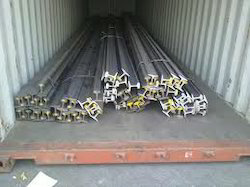 Backed by a diligent team of professionals, we have been able to export, trade, import and supply an excellent range of Australian Standard Rails. We manufacture these products by making use of high-grade raw material and high-end technology so as to maintain the set industry standards. To make a flawless dispatch from our end, our offered range is rigorously inspected by vendor’s quality inspectors against various parameters. These products are broadly acknowledged by our clients for their durability and sturdiness. 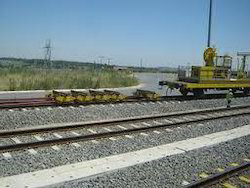 As per the variegated requirements of our clients, we are offering a broad collection of South African Rails. These products are manufactured using excellent quality raw material and latest technology by vendor’s skilled professionals. In order to ensure quality, these products are stringently tested on various parameters by experts. 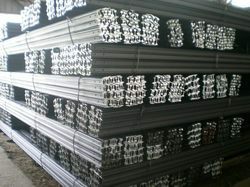 Apart from this, remarkable quality and sturdy structure increase the demand of our offered range in the market. Consistent innovation, coupled with an alert understanding of customer's needs & demands, makes us the most renowned exporter, trader, importer and supplier of Port Installation Rail. Our offered range is strongly built with quality raw material and the latest technology. We assure that our offered range is outstanding on counts of durability and quality. Keeping in mind the diverse requirements of our clients, we provide the entire range in various customized options and at affordable prices. 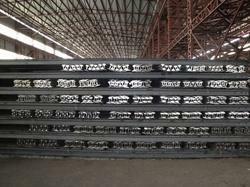 We have gained a remarkable position in the industry by offering a qualitative assortment of Cement Plant Rails. The offered range is manufactured employing high-end technology and well-tested raw material in adherence to industry defined guidelines. Apart from this, the entire range is rigorously tested under the strict inspection of vendor’s quality controllers. This range can be availed from us in various specifications at market leading prices. 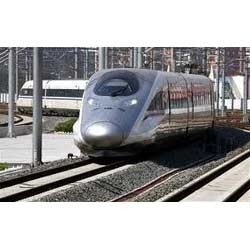 We have uniquely positioned ourselves as a dependable firm, engaged in exporting, trading, importing and supplying a commendable array of Russian Standard Rail. These products are manufactured using excellent quality raw material and latest technology by vendor’s skilled professionals. In order to ensure quality, these products are stringently tested on various parameters by experts. 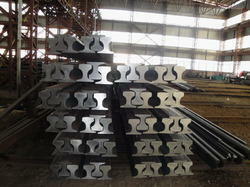 Apart from this, remarkable quality and sturdy structure increase the demand of our offered range in the market. 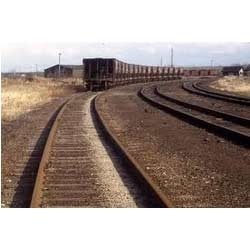 We are an acclaimed entity, engaged in offering a wide range of U71 mn Rails. Being a quality-oriented organization, we assure our clients that these products are the best in quality. Our vendor’s skilled professionals only utilize fine quality raw material, while manufacturing the entire range. Moreover, our offered range can be availed in a wide range of sizes, as per the requirements of our esteemed clients. 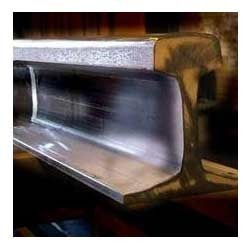 We offer to our clients a wide range of Glued Insulated Joints of a comprehensive range of Glued Insulated Rail Joints. 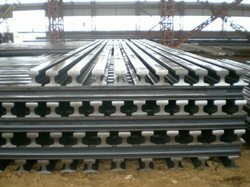 These Glued Insulated Rail Joints the circuiting on the welded track and are capable of movements at high speed with the minimum amount of friction. Looking for Rail Tracks ?